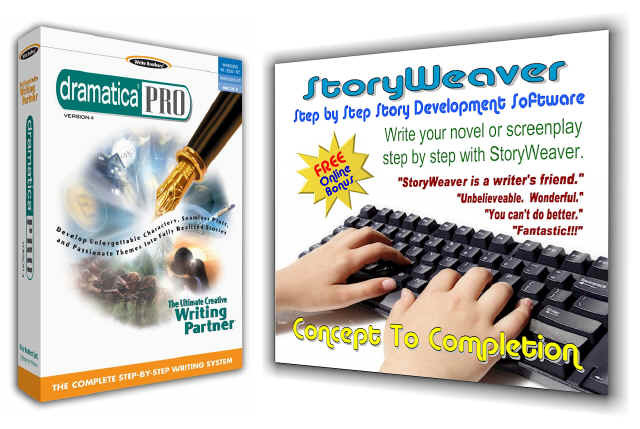 Many people are confused about where to go in the Dramatica software to create a story. There are a number of choices from the Main Desktop, but which one should be used FIRST? Actually, it’s just a matter of personal preference. You see, the Dramatica software is built around a single story engine that keeps track of the dramatic relationships among your characters, plot, theme, and genre. All the different ways of creating a story that the software offers are just different ways to tap into the same engine. In fact, whatever work you do in one area automatically shows up in all the other areas as well. Three popular areas in the software for constructing a storyform are the Story Engine, Theme Browser, and Query System. The Story Engine you get to from the Main Desktop, is NOT the same story engine that runs the software - they just share the same name. Why? Because the Story Engine area taps into the underlying story engine most directly. The Story Engine area lists a number key story points and then asks you to select the thematic content of each story point through the use of pull-down menus. In a sense, the Story Engine is telling you that every story has the same "empty" story points, such as Goal, Main Character Problem, and Outcome. But, the thematic nature of each differs from story to story. For example, the Goal in one story might be Obtaining something, while in another story the Goal is Becoming something. Both have a Goal, but each with a different thematic nature or content. While some authors prefer to develop a story by adding thematics to a raw structure, others prefer to choose their subject matter first, and THEN figure out how it works structurally. This is why the Theme Browser was created. Rather than listing story points and asking you to choose the thematics for each, the Theme Browser lists the thematics (subject matter) and asks you to choose where it shows up in the structure (as which story point.). So, in the Theme Browser and author can scan through all kinds of subject matter, picking out the topics he or she wishes to explore in a story and THEN determine where it shows up. For example, an author might want to explore the nature of possessing things, and pick Obtaining on the Theme Browser as the subject matter. Then, by using the pop-up menus, he or she could select Obtaining as the Goal, the Requirement, or even the Signpost (main topic) of Act 1. So, the Story Engine says, "Here are all the key story points. Choose the thematic subject matter each will explore," whereas the Theme Browser says, "Here is all the thematic subject matter. Choose the story point which will explore each topic." Finally, Dramatica offers the Query System as a third way of constructing a storyform. The Query System was designed to provide extensive help to the author while making choices about story structure. The Query System is actually divided into two areas: the Query System proper, available through its own button on the Main Desktop, and the StoryGuide, also available through a button on the desktop. The Query System is just a collection of different question paths that focus on different areas of a story, such as the Main Character, or the plot. Each question provides either a fill-in area for such things as the story’s title or the Main Character’s name, but more importantly provides questions that are much the same as choosing an item in the Story Engine or the Theme Browser. To re-iterate, the choices made in the Query System simply go to the same background story engine at the heart of the software. The Query System allows an author to concentrate on one facet of his or her story and work there, then skip to another and continue. For example, the Main Character might be the most important element of a story to a given author. This author could first work in the Main Character Query System path until satisfied, then move on to the second area of interest, which might be the Obstacle Character, Plot, or Theme. There’s even an "All Storyforming Questions" path for authors who want to see everything in a long list and jump from one question to any other while storyforming. The StoryGuide path is really just another question path in the Query System. The big difference is that the StoryGuide has been specifically designed for first time users. The StoryGuide comes in two lengths: a 50 question path which usually takes 3 or 4 hours to complete, and a 200 question path, which usually takes 3 or 4 weeks! As with all other areas of the Dramatica software, any work you do in one path automatically shows up in the other as well. So, you can start with one, then change your mind and go to the other, or just jump back and forth among ANY of the question paths whenever the mood strikes you. The StoryGuide path pulls key questions from all the other Query System paths, then presents them in an order that requires the least possible explanation of the Dramatica theory of story in order to create a storyform. Because it has been designed to be the quickest, most painless way to a story structure for a new user, the StoryGuide button on the Main Desktop is in the upper left corner for prominence, and is labeled, "Start Here!" In summary, there is a single story engine at the heart of the Dramatica software that keeps track of the relationships among your characters, plot, and theme. No matter how or where you enter the information and make dramatic choices, it all goes to the same central engine. Of the three main areas in which one can make dramatic choices, the Story Engine is designed for the experienced structuralist, the Theme Browser is designed for the experienced intuitive writer, and the StoryGuide is designed for new users to ease them into the software and theory with the quickest results. Dramatica Tid Bit: Although the Dramatica software program is over 7 meg in size, the story engine at the heart of the software is a series of complex interrelated algorithms taking up only 28K of space! This story engine is so revolutionary it was awarded United States patent number 5,734,916. Just as a Rubik’s cube has just 27 moving pieces, yet creates 40,000,000,000,000,000 combinations, the patented Dramatica story engine has is only 28K in size, yet generates 32,768 completely different dramatic storyforms.